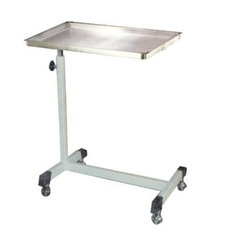 Exporter of a wide range of products which include mayo instrument trolley, adjustable overbed table, hospital cardiac table and hospital overbed table. 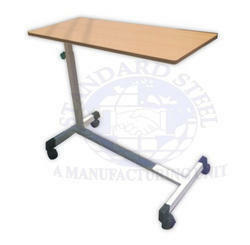 We are offering a wide range of Adjustable Overbed Table. With the help of our proficient employees, we are manufacturing Over Bed Tables (Hospital Invalid Tables). 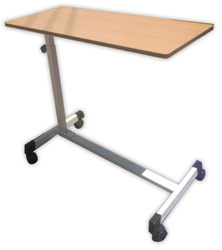 These epoxy powder coated tables come with a height of 95 cm, length of 106 cm and width of 45 cm. Known for corrosion resistance and high load bearing capacity, the tables are highly demanded in the market. Looking for Over Bed Table ?